Hello everyone. We are starting a new feature over at Sin City Stamps. The first Wednesday of each month, Sin City Stamps will be highlighting one of their amazing artists, showcasing their designs and art. 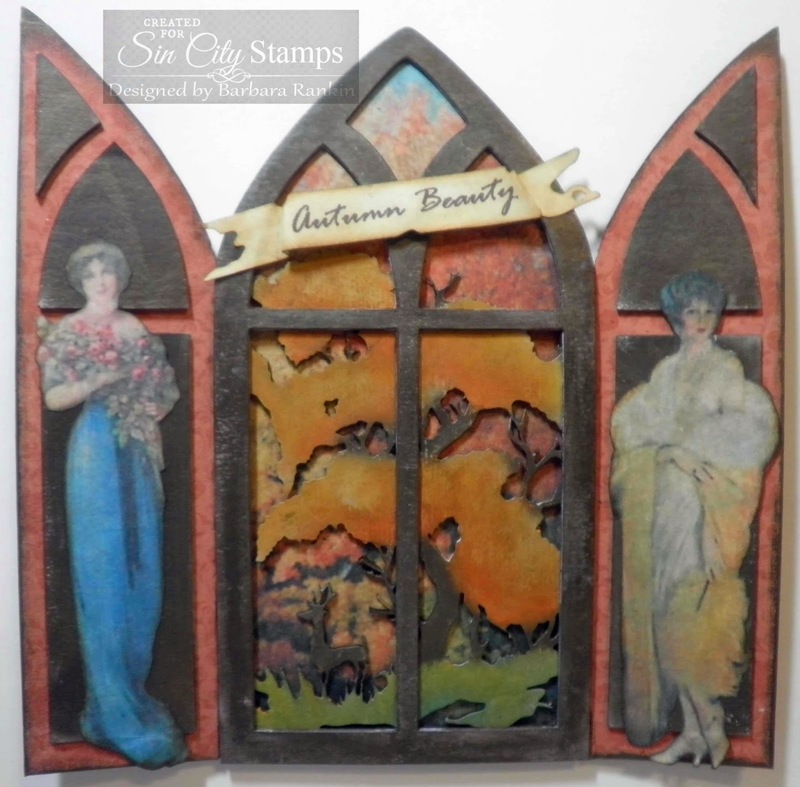 I encourage you to stop by frequently to see new products, designs, and examples of what can be created with the fabulous stamps, stencils, and chipboard products designed just for you! I get to go first!!! And be sure to read to the bottom of this post for a fabulous offer! 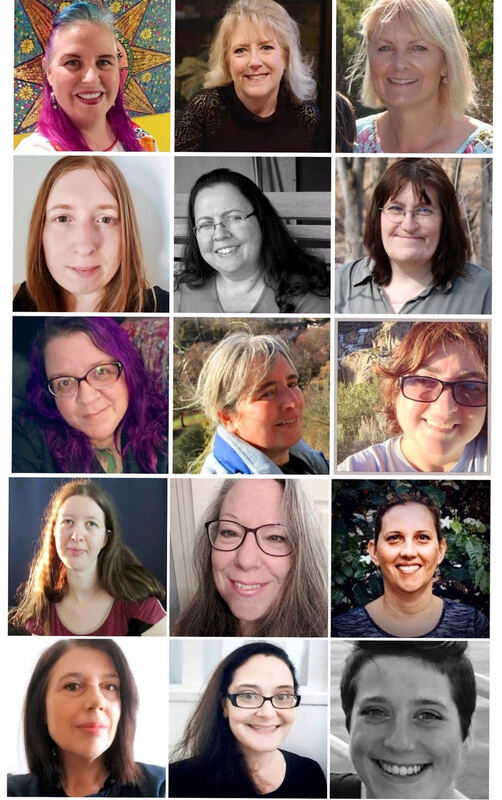 My name is Barbara Rankin, and I am not only a member of the Sin City Stamps Design Team, but I am honored and excited to also be an artist for Sin City Stamps. I love all forms of "crafting", from sewing, to needlework, to paper crafting, to my newest love, mixed media. From my earliest beginnings, I have always been fond of dimension, and to this day, I still love creating with dimension. My style is varied, but I truly love vintage, Victorian, Steampunk, and shabby chic. I have been published in several magazines, as well as contributing artist in a book that showcases mini albums, another form of art I really love. Depending on my mood, and sometimes, the seasons, my art will take shape from my surroundings. I also love quotations, and I use them as my jumping off point a lot. 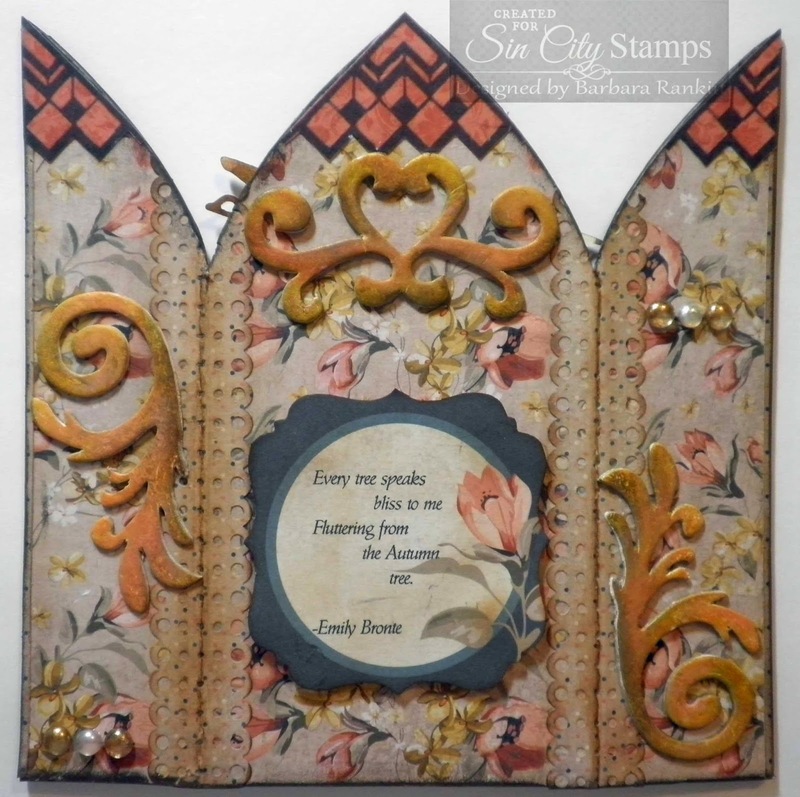 My first design for Sin City Stamps is this Shrine Chipboard Book Designed by Barbara Rankin. It is quite versatile, and can be used as a free standing frame to sit on your table or fireplace mantel. I have even used these shrines to make a mini album, with complete directions you can view by clicking here. You can decorate and display it to feature your favorite photographs, or even use it to commemorate the changing of the seasons, as I have done here with my "Autumn Beauty". The possibilities are endless! 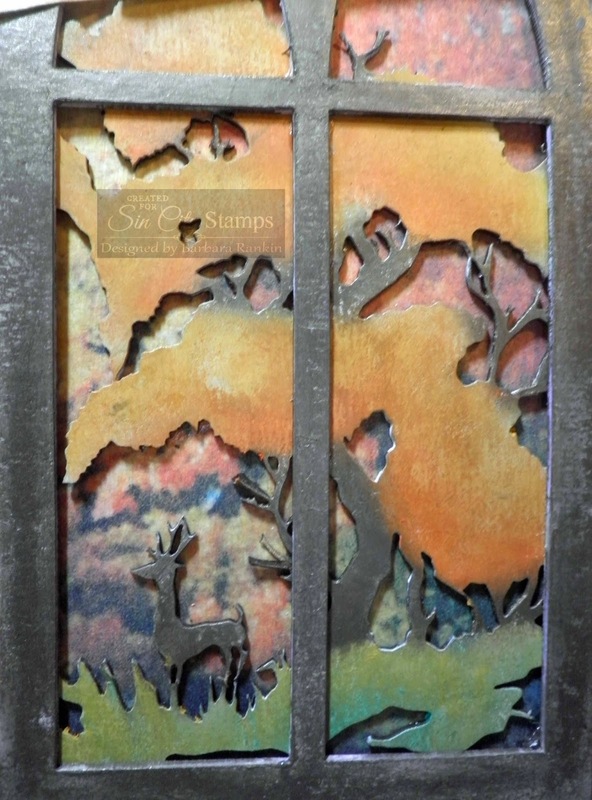 Much to my surprise and excitement, the Deer Under Trees chipboard piece fit perfectly with my shrine and gave such a wonderful view outside the window. I actually placed myself inside looking out at the beautiful turning leaves of the tree, and the cute deer in my yard. Ahhh, Fall is upon us! You can purchase these chipboard pieces individually through Sin City Stamps, or you can purchase my complete kit, as shown here, through Altered Pages. And just for stopping by, you get this special offer from me to you. If you use code featured33 in your Sin City Stamps shopping cart, you will get a whopping 33% discount on your purchase. In addition, I am offering a free Shrine Chipboard Book Designed by Barbara Rankin, that's me, to one lucky person who leaves me a comment, either on my blog or the Sin City Stamps blog. Winner will be chosen by random at the end of the month. Thanks so much for stopping by, and as always, stay CRAFTY, my friends. Congratulations on being featured Barbara! Your work is amazing! Gorgeous!!! Your work is amazing..